Mrs. Nichols is beginning her twenty-fourth year in education. She received her bachelor's degree and master's degree from the University of Mississippi. She taught in Batesville, Mississippi, her hometown, for three years before coming to DeSoto County. She taught at Olive Branch Elementary for eight years and is beginning her thirteenth year in administration. Mrs. Nichols calls DeSoto County home. 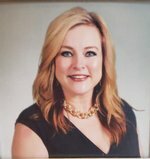 She has one son, Jake, who attends the University of MS. She enjoys Ole Miss football, reading, shopping, traveling, listening to music, and spending time with family and friends.